All the world's eyes (or at least an estimated one billion pairs of them!) will be focussed on one country this summer: Brazil, as the South American nation hosts the 2014 World Cup from 12 June - 13 July. Brazilian ambassador Gilberto Fonseca Guimarães de Moura was kind enough to sit down with us prior returning to Brazil at the conclusion of his term at the end of May, and share some of his thoughts on Slovenia, Brazil and of course the upcoming football tournament. What are the first five words that come to your mind when you hear the words 'Slovenia' or 'Ljubljana'? PEACE + GREEN + BEAUTY + CULTURE and certainly LOVE, expressed by all its forms. 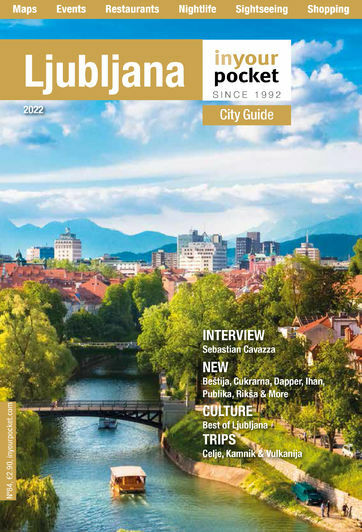 What did you find most surprising about Slovenia/Ljubljana when you first moved here? Where are your favourite places to visit in Slovenia outside of Ljubljana? Bled, simply precious, the charming coastal cities and the extraordinary Logarska Dolina. When you travel back home to Brazil, which gifts from Slovenia do you take with you? CDs from Vlado Kreslin, Rogaška crystal pieces and some nice and interesting Slovene handcrafts. What do you think of Slovenian cuisine? And wine? It is great. I do like štruklji and Prekmurska gibanica as well as the wines, especially from eastern regions. Slovenia's first Brazilian restaurant (Rodizio do Brasil) recently opened in Ljubljana, and second will be opening shortly. What are your favourite Brazilian dishes? Like most Brazilians, I am a fan of red meat, so a good churrasco is always welcome, but I do also appreciate the cuisine from Bahia, like Bobó de Camarão, a dish with shrimps. Brazil is famous for many things - Rio de Janeiro, Carnival, rainforests, the Samba and of course it's football successes to name just a few. But what are some things that most people would be surprised to learn about your country? The diversity of the people, for Brazil is a real melting pot. Furthermore, our nature and life style as well as the permanent quest for happiness. Brazil will be in the international spotlight for the next few years as it hosts both the 2014 World Cup and the 2016 Olympic Games. What advice do you have for those who plan on visiting? Our Embassy may be helpful gathering some basic information on the country, but once there, I would recommend an approach to local references (ie, hotel information desks and official touristic agencies). Will the Brazilian Embassy in Ljubljana be organising any special events or activities in connection with the World Cup this summer? Yes, we will be co-promoting a nice evening on the very day of the opening ceremony and game (Brazil versus Croatia on June 12th) at Hiša Sporta in old Ljubljana, along the river. Hiša Sporta will also project the opening as well as subsequent matches of the World Cup. And who is going to win the World Cup this summer? And finally, what was the best part about being ambassador? Having the chance of knowing and meeting nice places and peoples, like Slovenia and its people.